So we’ve all, at some point in our lives, used a piece of software that raised our blood pressure to kill-you-to-death levels, and made us grind our teeth to powdery nubs. For me it was a heinous near DOS insurance program. For you it may be your bank’s new mobile app, or any system required for your job. I think workmans comp should be provided for employees whose health is destroyed by software that makes them want to stab out their eyes with hot pokers. We’ve all also used that one website, or app, or piece of software that had such fabulous UX that it made us smile, and caused a ray of light to shine down from heaven on our monitor/phone screen. 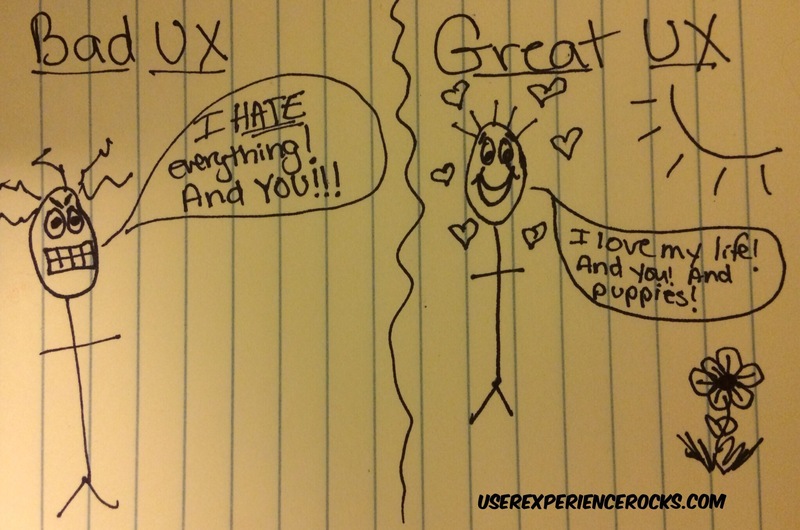 Bad UX can quite literally damage your users’ health and mental states. When software ticks me off, I remain ticked off for a fair amount of time, especially when the issue is rooted in poor design. Having stress and rage associated with your product and brand is a very, very bad thing. I absolutely love this post. It makes me think of how people interact with healthcare and get frustrated. How that frustration leads to bad experiences, avoidance of healthcare, & leaving health/wellness to the wayside. As leaders in healthcare, we need to be more empathetic & understand the end users point of view in order to generate that Buddy experience. I love it. So inspiring. Thanks!